What keeps you from finding a Taurus PT1911SS Bull's Head Walnut holster? Well, it's pretty simple - it's the grips. The unique grip pattern of the PT1911SS BHW doesn't necessarily fit into all 1911 holsters correctly. If you look at the typical 1911 holster, what you'll notice is that the top-front corner of the grip goes into the holster when there's a proper fit, as a quality fit will cover as much of the trigger guard as possible. 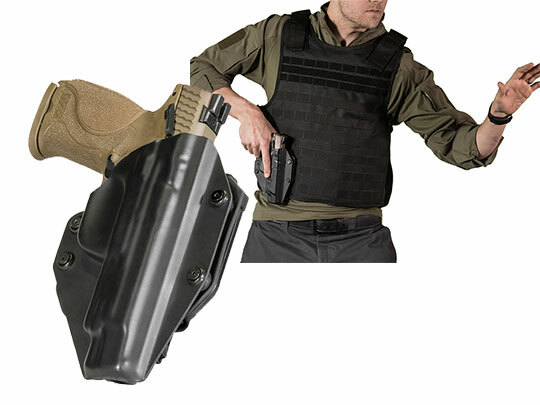 Since the grip pattern on the PT1911SS BHW is different, it might not be easy to find a PT1911SS BHW gun holster as, say, for the myriad GI-spec 1911s out there. To address this issue, you'd need to send off for a custom Taurus PT1911SS Bull's Head concealed carry holster. Besides the lead time and expense, you'd likely have to send in the gun so the holster maker gets the details right and who wants to do that? Alien Gear doesn't ask you to do any of that. We have this pistol in our library of guns, so we mold our retention shells for exactly this pistol. It will fit perfectly out of the package, with good retention as well - though you can adjust it as you see fit. How do you want to carry? 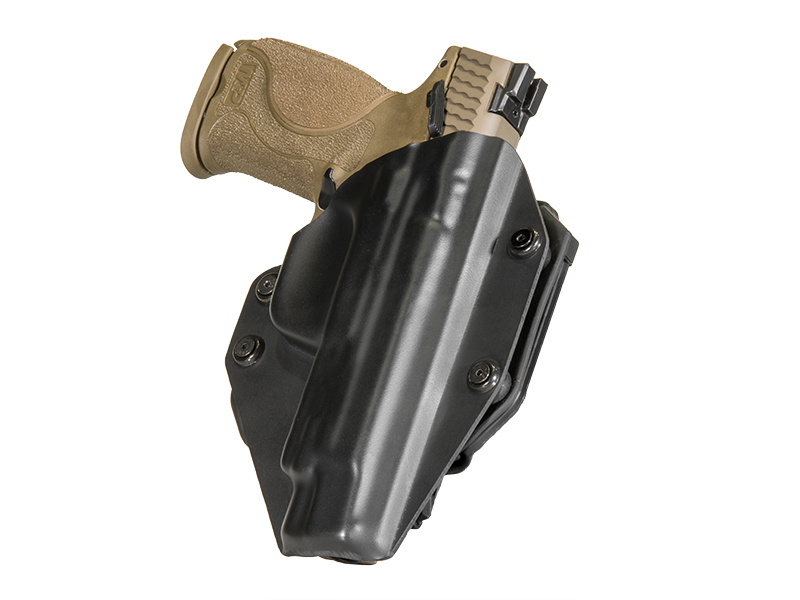 Deeper concealment is easiest with a quality PT1911SS BHW IWB holster, of which we have several models to choose from. Select the leather Cloak Tuck, made from premium 12-oz leather in black or tan, or the Cloak Tuck 3.0, a modern multi-layer design with a neoprene backlayer and spring steel core. 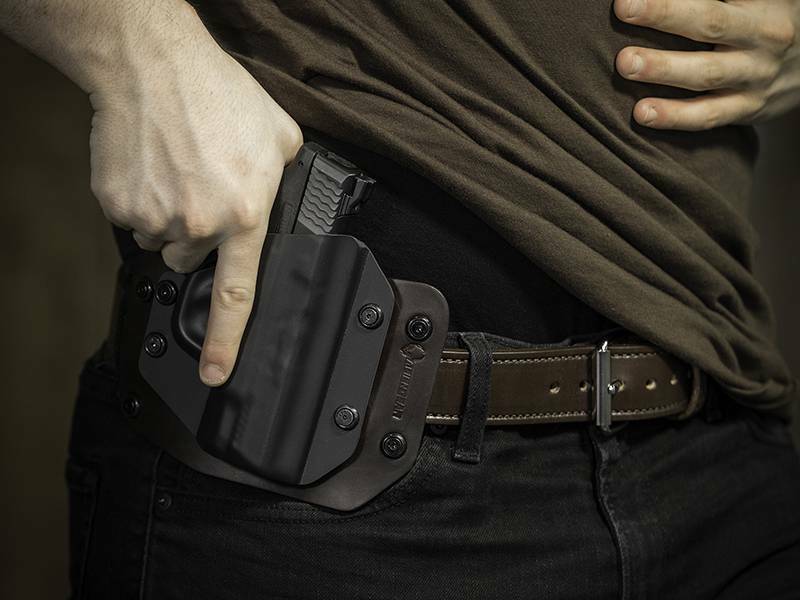 Outside the waistband carry is also available, with either the Cloak Slide leather belt slide holster or the Cloak Mod Taurus PT1911ssbhw paddle holster. Still not convinced? 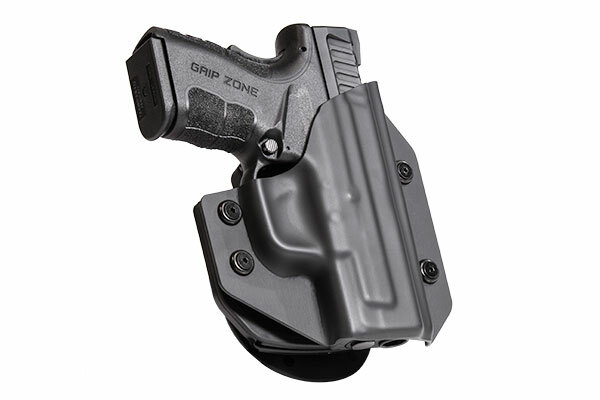 Tell you what - you can return the holster for a full refund within the first 30 days of ownership. No questions asked. 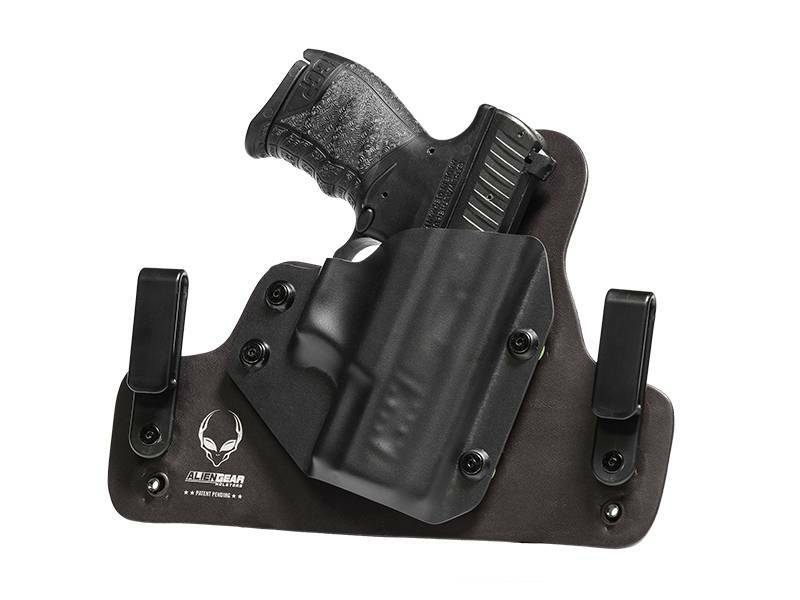 If - or should we say, when - you decide to keep your Alien Gear holster, you can rest easy knowing that it comes with a full and comprehensive lifetime warranty. 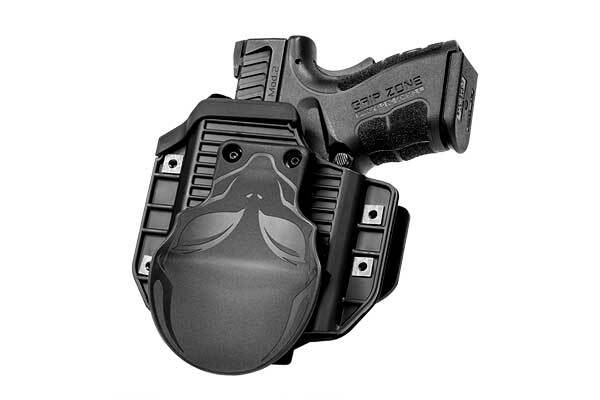 We'll even trade you retention shells, so if you ever trade in your gun for a different make/model, we'll send you the new shell so you can keep using your holster. 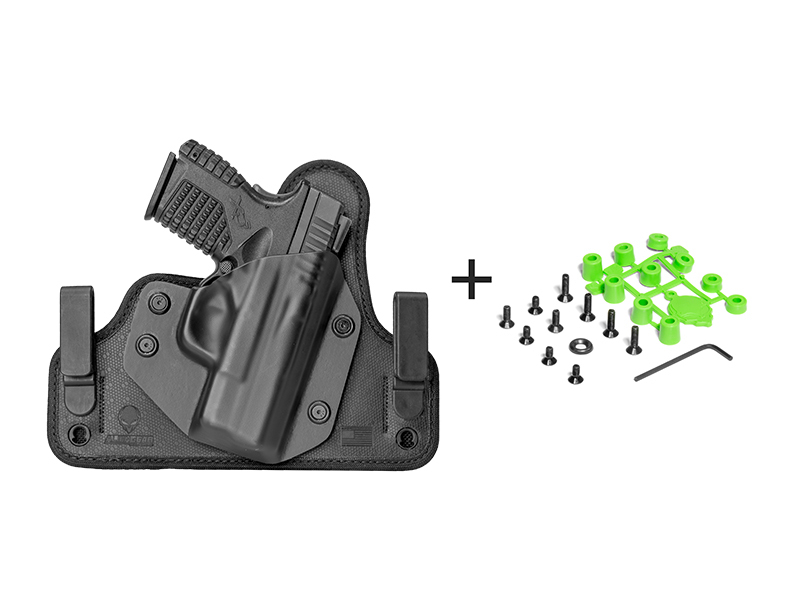 You might find it's incredible how easy carry with this pistol can be.